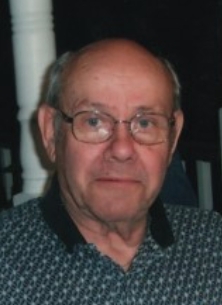 Jerry L. Sellers, age 85, resident of Shelby, died Monday, April 8, 2019 at Crystal Care Center in Mansfield. Born July 23, 1933 in Niles, Ohio, he was the son of Arby and Lena (Bowles) Sellers. Jerry grew up in Ashland and was a 1951 graduate of Ashland High School. He was employed with the former Shelby Autocall, Federal Sign & Signal in Marlboro, Massachusetts, and retired from T.F. Hornaday in Chicago. During his lifetime he enjoyed hunting, playing golf and traveling. Survivors include his two daughters, Terri Prescott of Columbia, PA and Nancy (Tim) Ney of Shelby; seven grandchildren and numerous great-grandchildren. In addition to his parents, he was preceded in death by his wife, Janet Sellers, one brother and one sister. Per Jerry's request, a burial will held in Morton, Illinois.